Considering Direct Smile Aligners? READ this first! You see them everywhere these days…those ads from mail-order aligner companies promising to give you perfect teeth, with little hassle, all without ever making you leave your house. Of course, that sounds like a great idea. It’s convenient, yes. And while we have super comfortable chairs and a really welcoming office, the idea of putting on aligners on your own couch while watching Netflix is appealing. You could even post about your newly straightened teeth on Pinterest! The problem with these companies, though, is the lack of hands-on, personal oversight. Without an orthodontist, you could suffer serious, irreversible damage to your teeth. You might save a little gas money, but your teeth could ultimately pay the price if you use one of these companies–and that would make for one massive Pinterest fail. 1) You don’t have regular checkups. With traditional treatment, you’ll visit the orthodontist for x-rays, initial photos and a diagnostic plan (the most important part). After your initial smile analysis, you’ll revisit in 8-12 week intervals to see if you need new aligners, your bands need to be tightened, and for your overall dental health. From start to finish, treatment can take as little as 6 months. With mail-order, you don’t have regular checkups. They send you a kit to help you take impressions of your teeth, you send it back, and your new aligners are mailed to you with instructions. Convenient, yes, but not the best way to treat your teeth. The companies claim your treatment will be done in three to six months, and you’ll never likely see a licensed professional before or after that. Who is checking the diagnostic plan? 90% of the time it’s not an orthodontist (a dentist with 2-3 years extra training in tooth movement). Instead it’s anyone with a dental license regardless of their education and training in tooth movement. The huge problem here is dental school doesn’t teach you about tooth movement. You need further education to become an orthodontist to understand how to do that. Who is evaluating the final bite to see if your “new bite” will cause you harm in the future? No one. What about the overall health of the bones and gums as the teeth move…who is monitoring that? No one. 2) You’ll receive substandard care. Aligning your bite and straightening your teeth isn’t a quick fix. It’s a slow process that’s all about shifting ligaments and bones around your teeth. If this isn’t done the right way, and if it’s not closely monitored, you can do serious, even irreparable damage to your pearly whites. The American Association of Orthodontics (they’re really smart people) even issued a warning about this. “The risks associated with ‘do it yourself’ orthodontics can, and should be, avoided,” they said. 3) The mail-order company doesn’t know what it doesn’t know. In other words, you can’t begin orthodontic treatment until your teeth and gums are cleared by a dentist. And, in many cases, you need a dental specialist, periodontist, to further evaluate your bone health prior to starting orthodontic treatment. If you have problems like gingivitis, periodontitis, chipped teeth or cavities, an orthodontist is going to send you back to a dentist to get these taken care of first. You’re not going to get that type of treatment and interaction from a mail-order company. 4) Your insurance probably won’t pay. The mail-order companies advertise that their treatment is often covered. But self-treatment, without the right supervision, likely wouldn’t be a covered expense in most insurance plans. Insurance companies aren’t going to pay for something that doesn’t meet their quality standards–because when the treatment fails, more expenses are headed their way. Most of these companies charge around $2,200 for alignment and retainers. This fee is for very limited simple fixes. But guess what? MOST orthodontists can give you a better, faster result for simple fixes at or near the same fee. Our advice to you: Stay away from do-it-yourself orthodontic care. If not, you’re taking a big risk and only asking for trouble. Schedule an appointment with a licensed orthodontist, like Reagin Orthodontics, to learn more about your options when it comes to making your teeth pretty enough for the perfect Pinterest post! At Reagin Orthodontics we are all about good oral health! Daily brushing and flossing of your teeth as well as maintaining your 6 month visits to your dentist is the cornerstone of good oral health. One of the most important areas of your mouth to clean is in-between your teeth and around the tooth/gum junction. These are the first places bacterial plaque will form, and it is also the hardest to keep clean. Water flossers, like Waterpik™, are a good tool to clean between the teeth and around orthodontic appliances. Waterpik™ makes several types of water flossers including some just for kids. Personally, we like the countertop Waterpik™ Ultra Water Flosser, since it holds a good amount of liquid and patients find they have more control over the water pressure than the cordless Waterpik™. The Ultra Water Flosser runs about $60, but if you live by a Costco you can get both the Ultra Water Flosser and the Cordless Plus Water Flosser for only $79. 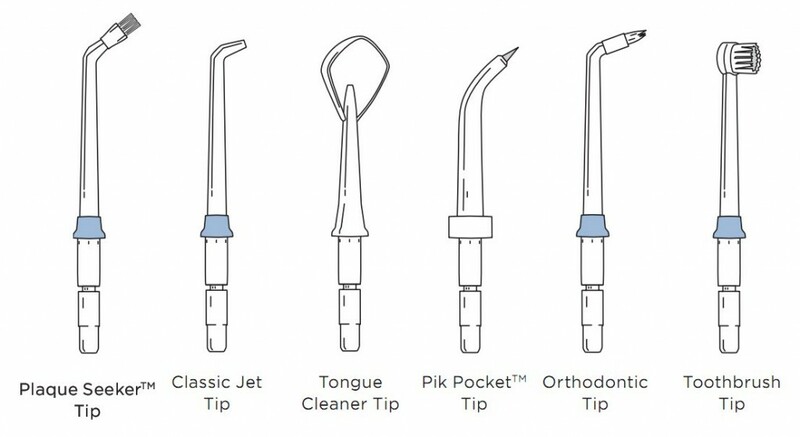 Water flossers typically come with several attachments and you can try them all out if you like, but the Classic Jet Tip works best. If you have braces the Plaque Seeker and Orthodontic Tips can help you clean around the brackets. – What is the practices philosophy? Make sure it lines up with what you are looking for. – What is the orthodontist’s level of experience and how long have they been practicing? – Does the practice have multiple offices forcing you to go to different office locations for your appointments? – Is the orthodontic practice conveniently located close to your home, office or child’s school? – Ask to see before-and-after photos of previous patients. Are the results to your liking? – How varied and advanced are the treatments offered? Revolutionary new technologies such as temporary mini-screws, translucent aligner scanning (such as Invisalign and Invisalign Teen) and self-ligating brackets. – Is the orthodontist familiar with the different cutting edge accelerated treatment options such as AcceleDent, Propel, and Wilckodontics? – What is the orthodontist’s diagnosis and plan of action for your teeth and how clearly has it been explained to you? Did the orthodontist provide information about alternatives? How practical is the treatment plan in light of your personal, business and social needs? – What is the office ambiance like? Specifically, are you (or your child) comfortable with the orthodontist’s chair-side manner? Is the staff friendly, welcoming and quick to address your concerns? Since orthodontic treatment takes an average of two years, with appointments typically every six to eight weeks, it is important to establish a rapport with all of those who will be providing services. – Emergencies are unlikely, but just in case, what is the office protocol? – What are the financing options? Are their multifamily discounts? Paid in full discounts? – Does the fee for treatment include retainers and is there a “Lifetime Guarantee” offered? Make sure to ask. – Does the practice focus on educating you (and/or your child) on the care of their braces and/or appliances? At Reagin Orthodontics we believe that finding an orthodontist you trust is like forming any important relationship in your life. Do some research, get to know them, ask your friends and trust your instincts! Do I need to floss my teeth with braces? Absolutely! At Reagin Orthodontics we are committed to good oral hygiene and flossing is essential to the health of your teeth and gums when you’re wearing braces. Because braces may hold food, sugars and liquids upon eating, it is very important to keep on top of your brushing and flossing, as well as visiting our office for regular adjustments. While we know it’s tough enough to get kids to floss daily but remember that by not flossing, you will become more prone to cavities and gum disease. When flossing, remember to gently massage your gums in between the teeth. 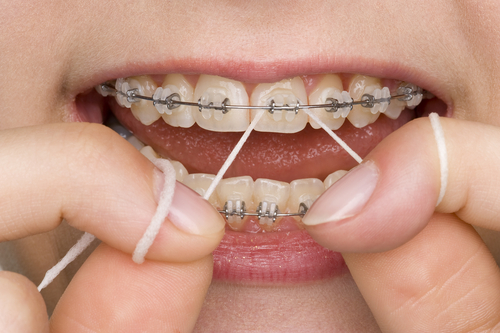 You will find that flossing with braces takes extra time, as you will have to weave the floss through each bracket. When flossing, there should be no signs of blood. If you see blood, you are not flossing enough or properly. Dr. Reagin and our team at Reagin Orthodontics will tell you it is just as important to develop a regular hygiene routine while you’re wearing braces. If you have any questions about flossing or your orthodontic treatment at Reagin Orthodontics please don’t hesitate to give us a call or during your next adjustment appointment! Proper upkeep and good oral hygiene are essential in keeping your Invisalign aligners clean, invisible, and odor free. Although the Invisalign allows for aligners to be easily removed for eating and drinking, failing to properly clean your trays afterwards can result in discoloration and a buildup of bacteria. — Rinse your aligners when you remove them: Dry saliva and plaque create a perfect breeding ground for foul smelling bacteria. — Brush and floss your teeth before reinserting your aligners: Proper oral hygiene is key in maintaining healthy teeth and avoiding cavities and decay. Since Invisalign is form fitted, failing to brush and floss properly can trap harmful particles between your teeth and aligner, increasing your risk for dental issues in the future. 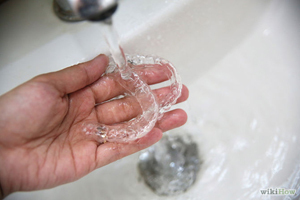 — Clean your aligners with a clear anti-bacterial soft soap: A clear anti-bacterial soap is an excellent and inexpensive way to keep your aligners clear, fresh, and free from harmful bacteria. — Soak your aligners once a week: Denture cleaner, Retainer Brite, and the official Invisalign cleaning crystals are all excellent options in keeping your trays clear and sanitized. TIP: Brush your aligners gently: Vigorous brushing can scratch your aligners and leave visible etchings. Brush carefully! — Eat or drink (anything but water) while wearing Invisalign: Many foods and drinks can stain or discolor your aligners and cause them to stink. — Use toothpaste to clean your aligners: Many types of toothpaste (especially those with whitening agents) are abrasive and can dull your aligners or create small traps for bacteria to dwell. — Use colored soaps: Although anti-bacterial soap is a great way to clean your Invisalign braces, using anything but clear soap can cause your aligners to take on alternative hues and shades. — Leave your aligners exposed or unprotected while eating: Aside from an increased risk of misplacing them, leaving your aligners in the open exposes them to harmful germs and bacteria. Rinse them, soak them, and then rinse them again before returning them to your mouth. “Every time you smile, you reveal much more than your pearly whites and a friendly mood. When periodontist Sally Cram, DDS, PC, examines a patient’s mouth, she discovers all kinds of clues to his or her well-being. “We say your mouth is the window to your overall health,” says Cram, a spokeswoman for the American Dental Association. “It can show signs of a lot of different things, from nutritional deficiencies to systemic disease.” Pale gums might signal an iron deficiency. Chronic bleeding gums can be a sign of unhealthy blood sugar— and undiagnosed diabetes. More than half of all adults over the age of 30 have some form of gum disease, and that puts their overall health at risk. “When a periodontal infection gets into the bone around your teeth, it can enter your bloodstream,” says Cram. “From there, it travels to other parts of your body and an contribute to medical problems.” “There’s a very clear association between poor oral health and heart disease,” says Keith Roach, MD, chief medical officer of the health website Sharecare and associate professor of clinical medicine at Weill Cornell Medical College. A new study in Trends in Endocrinology & Metabolism suggests the culprit is body-wide inflammation caused by oral bacteria. Other studies reveal an association between oral inflammation and Alzheimer’s, Parkinson’s, and rheumatoid arthritis. An expectant mom’s own poor oral health may lead to low birth weight and premature birth. There’s even evidence linking periodontal disease to human papillomavirus (HPV) and rising rates of head and neck cancers. “That’s why you need to be routinely checked for oral cancer, even if you don’t have a traditional risk factor, like drinking or smoking,” says Roach. 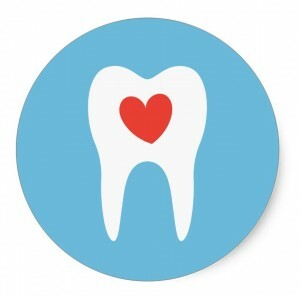 Other medical conditions boost your risk for oral health problems. Obesity may raise your risk for periodontal disease. Fluctuating blood sugar from diabetes encourages gum disease. But these three simple steps can help keep your smile—and the rest of your body—in good shape. Step 1) Brush Twice Daily for two minutes each time. 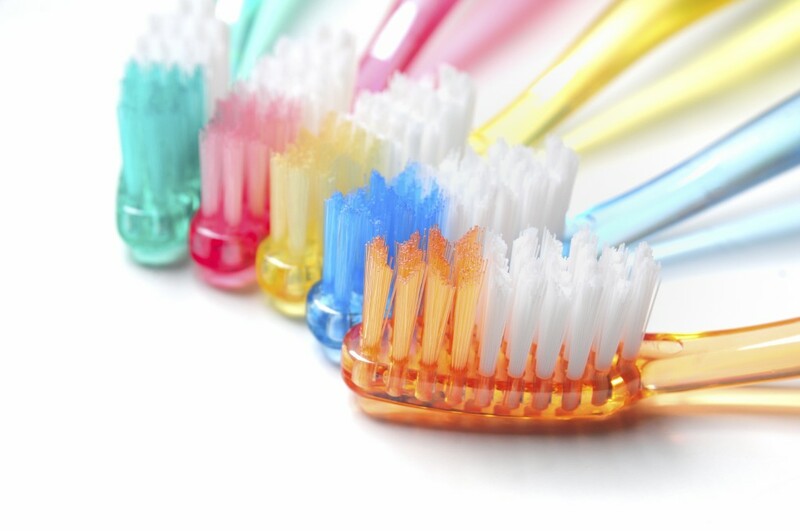 Ask your dentist which toothbrush is best for you. Some people, such as kids and elderly folks, may need the boost of an electric model. And change your toothbrush every two to three months. “When the bristles aren’t straight anymore, the brush isn’t doing the jobs as well,” Cram says. Also use a fluoride toothpaste with the American Dental Association seal of acceptance to ensure it’s safe and effective. Step 2) Floss once daily. It helps to remove plaque from areas between teeth that your toothbrush can’t reach. Any type of floss you prefer-waxed, unwaxed, or extra-thick-will do the job. 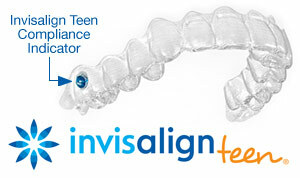 What is Invisalign Teen and how does it work? Invisalign takes a different approach to straightening teeth, using a custom-made series of clear aligners created for you and only you. These aligner trays are made of smooth, comfortable and virtually invisible plastic that you wear over your teeth. Wearing the aligners will gradually and gently shift your teeth into place. You just pop in a new set of aligners approximately every 10-14 days, until your treatment is complete. Developed in collaboration with leading orthodontists who understand the physiology of tooth movement as well as the treatment demands of teenagers, Invisalign Teen combines the benefits of the Invisalign system with new teen specific features. These features include: ABlue Dot Wear Indicator that fades when the aligner becomes worn and is ready to be changed; Eruption Tabs to accommodate the growth of second molars; and other features to address clinical needs common to teens. Dr Reagin has vast experience with Invisalign as a tool to move teeth, and once he determines that you are a good Invisalign candidate your teeth are scanned with our state of the art Itero scanner. Itero 3D technology is used to create a digital model of your teeth and with this technology the old yucky impressions become completely obsolete. Once the digital model is uploaded Dr Reagin uses his orthodontic knowledge to create a custom tooth movement plan to give you the best and most efficient treatment result. Then the aligners are fabricated to mimic the movement Dr Reagin has designed and shipped to our office. After initial placement and fit of the aligners you will visit our office approximately every 10 weeks. Don’t worry we can and often do work your appointment intervals around college schedules, work trips and vacations! Dr Reagin’s knowledge, combined with invisalign as a tool to move your teeth, allows you to achieve a great smile with little interference in your daily life. Additional benefits of Invisalign: office visits every 10 weeks so you miss less work and school, no emergency broken brackets or poking wires, the ability to floss and brush without braces, and the ability to eat what you want, barely noticeable, great treatment results when used by a well educated clinician such as Dr Reagin. Dr. Reagin is the only Premier provider of Invisalign and Invisalign Teen in Summerville and he can determine if Invisalign Teen is the right orthodontic treatment for you or your child. To schedule your complimentary consultation call our office at 843-871-4411. What are “SugarBugs” and How Do I Get Them To Go Away? At Reagin Orthodontics we are committed to good oral hygiene and that means you need to make sure you are getting the sugar bugs off of your teeth. Sugar Bugs or plaque, is a combination of the food you eat with bacteria already found in your mouth. Plaque is a thin, sticky, colorless deposit of bacteria that constantly forms on everyone’s teeth. As plaque increases, it becomes gooey white stuff – you can see it and sometimes feel it on your teeth (they feel kind of “fuzzy”). Bacteria (“Sugar Bugs & Starch Slugs”) live in the plaque. Whenever you eat, the sugars and starches in your food cause the bacteria to produce damaging acids that attack your tooth enamel and gums. With time and repeated acid attacks the tooth enamel breaks down, causing cavities, permanent marks and stains on teeth. 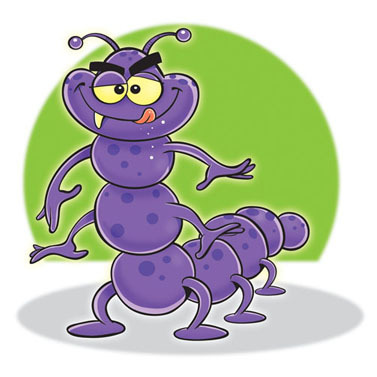 Crowded teeth provide these sugar bugs more places to hide and allow them to do more damage to your overall oral health. Braces or Invisalign can be used to eliminate the crowding and make your teeth easier to clean. The win-win is straight teeth and good hygiene. To make sure none of these things happen to your smile, make a habit of brushing and flossing after you eat anything, and keep in mind that straight teeth are the easiest to keep clean! For a complimentary consultation call 871-4411. No referral necessary.